Can Your Loved One Lower Their Prescription Costs? Everyone knows the cost of medications can be extremely high. Some are so high people wonder how they can afford them; or, worse yet, they forgo the medications because the cost is prohibitive. But, what if a medication is really needed? Or how about just trying to save money on prescriptions because your loved one is living on a fixed income and every penny saved helps? As their family caregiver, you can help play a role in your loved one lowering their prescription costs wherever and whenever possible. Talk to their doctor, Talk to their doctorto see if switching to a generic or lower-cost medication that does the same thing might be possible. Some health plans and medications allow you to use mail-order pharmacies where 60- or 90-day supplies can be purchased at once. That may save a little money, but at least it saves on having to pay some co-pays if their doctor wants to see them before each prescription renewal. Pill-splitting. Patients can often purchase medications in doses that are double the prescribed amount, then split them in half. Sometimes, the pharmacist will even split the pills for them. This saves money because many medications are sold for about the same price regardless of the size of the pill. Ask your loved one’s doctor or pharmacy about this option. Consider special Medicare drug plans. There are some plans that provide coverage for generic drugs. Before purchasing this kind of plan, make sure the drugs your loved one takes are covered. Pharmaceutical Assistance Programs. Some pharmaceutical companies offer help for people enrolled in Medicare Part D. Find out if the drugs your loved one takes are covered. Also, some drug companies have a discount card program where you pay an annual fee for the card and get savings on your drugs in return. Additionally, there are also many states and the U.S. Virgin Islands that will provide assistance in paying drug plan premiums or other drug costs. Check to see if your state has such a program by following these links: Pharmaceutical Assistance Program and State Pharmaceutical Assistance Program. Over-the-Counter options. More than 600 OTC drugs were previously available only by prescription. 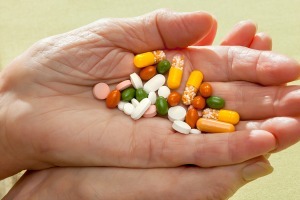 Among them are a handful or more of the drugs most often used by seniors. Shop around. Prescription costs can vary greatly from place to place. Some online pharmacies also offer very competitive pricing. Apply for Extra Help through Medicare and Social Security. These agencies have programs to help people with limited income, as well as resources to help people pay for their prescription drugs. Click on the link above to see if your loved one qualifies. National or Community-based charitable programs. Check with your local human services department or Office on Aging to see if there’s anything in your area that can help with the cost of your loved one’s drugs. This entry was posted in Caregiver Arlington TN and tagged Caregiver Arlington TN. Bookmark the permalink.